If you have been following this blog for the past several weeks, you have met the six Gaffney sisters of Conneaut, Ohio: Janie, Maggie, Lyle, Di, Frank, and Agnes. They were known for their Irish wit, humor, and stories. They also were favorite subjects around our family table. But they had brothers, too – three of them: John Patrick, Thomas Charles, and Edward. And today we’ll begin looking at them, starting with Edward and John. 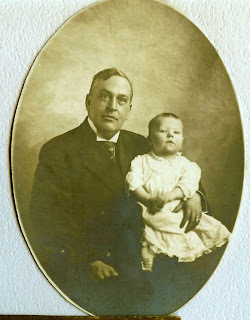 John Gaffney, proprietor of the Conneaut House, Conneaut, Ohio, was born in Ashtabula county, this State, July 11, 1866, son of John F. and Bridget Gaffney. His parents came from the old country to America previous to their marriage. 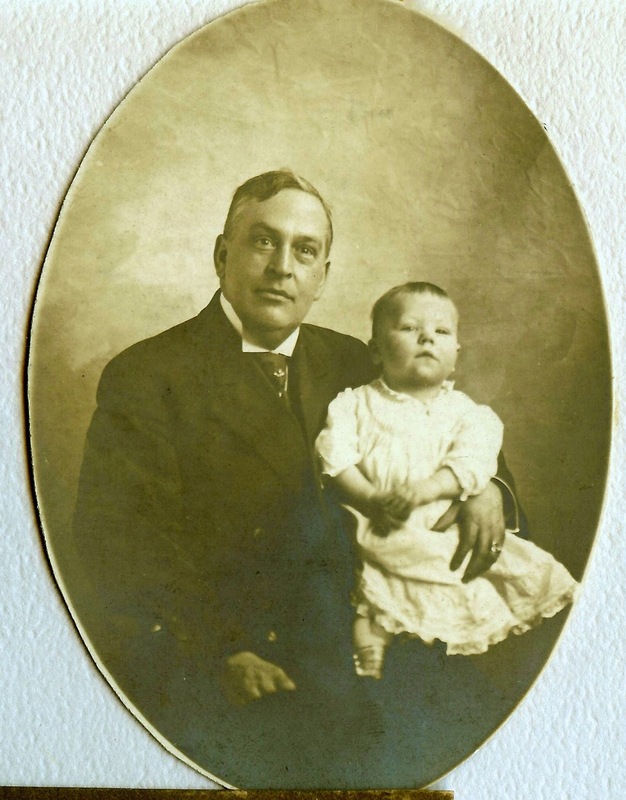 The father was a traveling man for many years – traveling until the Conneaut House was built, after which he was its proprietor until the time of his death, February 28, 1892, at the age of sixty-six years. He had been a resident of Conneaut since before the war. Mr. Gaffney was a devout Catholic, as is also his wife. The names of their children are as follows: Janie, Margaret, Elizabeth, Delia, John, Frankie, Agnes and Thomas. All are at home and unmarried except Janie, who is the wife of Thomas E. McGinnis, a railroad engineer and a resident of Conneaut. Mr. and Mrs. McGinnis have two children: Benita and Eugene. Of John F. Gaffney’s brothers and sisters we record that one brother, James, resides in Erie, Pennsylvania; that Elizabeth is the wife of Patrick Cozens, of Conneaut; that Patrick, another brother, is deceased; and that Mary is the wife of Peter McGordy, Chicago. Mrs. Gaffney had a brother and sister who came to Conneaut, Terrence Quinn, who died here; and Mrs. Edward Tinney, still of this place. She has two brothers, Thomas and John, farmers in Iowa. and one brother, Henry, in St. Louis. John Gaffney’s first employment was that of yard clerk at the Nickel Plate, where he remained for two years. After this he clerked in his uncle’s store in Erie some time. Then he went on the road as a traveling salesman, being in the employ of S. Peterson & Co., a wholesale grocery and flour house of Chicago, and continued on the road until after the death of his father, since which time he has conducted the hotel. The Conneaut House is situated on the west side of Mill street, south of the New York, Cincinnati & St. Louis Railroad, being conveniently located for railroad men, who are its chief patrons. Mr. Gaffney, having spent some years on the road, is acquainted with the wants of the traveling public, and he knows how to cater them in a courteous and pleasing manner. Indeed, he is eminently fitted for the position he occupies. 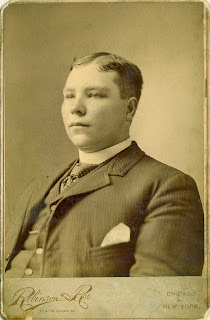 Sometime between 1893 and 1900, John Patrick Gaffney, also known as “Jack” Gaffney, left Conneaut for Chicago. Whether or not he sold the family hotel, known variously as the “Gaffney House” and the “Conneaut House,” we do not know. How Jack met Elizabeth Kane, a young schoolteacher from Cleveland, Ohio, I do not know, but I wonder whether his sisters had anything to do with it. Agnes and Maggie Gaffney lived in Cleveland at the turn of the century, where they taught elementary school. He might have met Elizabeth during his visits with his sisters there. John Patrick Gaffney and daughter Nancy. Jack and Elizabeth were married on September 9, 1902, in Chicago. Their only daughter, Nancy, was born three years later, on November 2, 1905. By 1910, they were renting a nice three bedroom, three story brick flat at at 747 East 65th Street, in Chicago’s seventh ward. The young family seemed to enjoy a blissful life, and Jack must have felt blessed to have a beautiful young wife, a bright, cherubic daughter, and a good civil service job. Sadly, the one thing Jack was not blessed with was good health. For several years he was afflicted with heart disease, a condition that plagued his father and his siblings. JOHN B. GAFFNEY, for many years a clerk in the employ of the city, died at his residence, 747 East Sixty-fifth Street, of heart disease yesterday. Gaffney was a clerk in the city collector’s office for over eight years. He is survived by the widow and one daughter, 5 years old. Elizabeth and little Nancy buried Jack at Mount Olivet Catholic Cemetery in Chicago and moved to Cleveland, where they presumably could live near their extended family. Elizabeth, who had not worked since she married Jack, resumed her previous job as a school teacher so she could support herself and her daughter. Nancy went on to become a teacher like her mother, graduating at age 21 from Ohio State University in 1927. The two, who were very close, lived together and taught at various Cleveland public schools. It is easy to imagine them comparing notes over dinner every evening, as they shared the stories of their days as teachers in the Cleveland public schools. The last time we find any historic mention of Elizabeth Gaffney is in the 1930 Census. Either she remarried, or perhaps she died sometime during the next decade, because Nancy surfaces as a lodger with a family on Taylor Street, without her mother. And whatever happened to Nancy? Well, she did live happily ever after, but her story will have to wait for another day. (1) The Gaffney House was also referred to as the Conneaut House or the Conneaut Hotel. 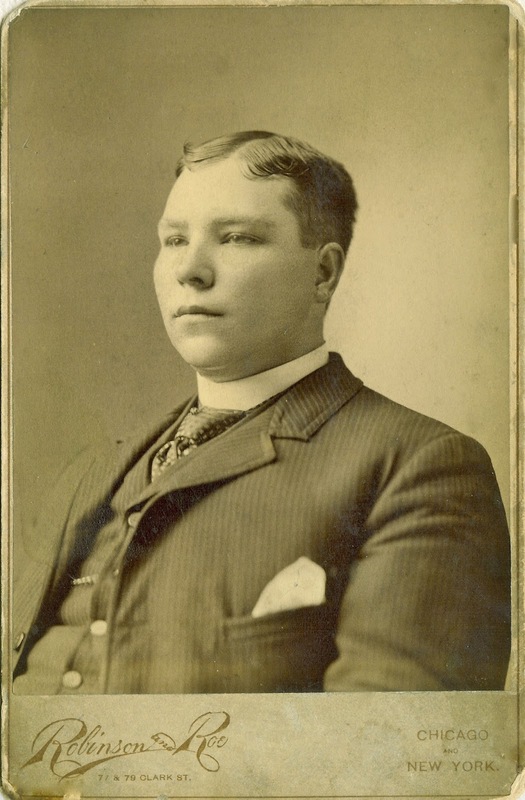 (2) Transcribed from Biographical History of Northeastern Ohio; published in Chicago: Lewis Publ. Co., 1893. (e) Benita McCormick, personal scrapbook, San Mateo, California, about 1982. Linda, Just a note to say I've enjoyed reading your Gaffney series. This piece is another enjoyable read. The family story keeps on winding around and your family is fortunate that you are writing them all down is such a way. How sweet of you to say that, Nancy! You're right about the family story winding around. It always surprises me that there seem to be so many stories out there to tell. Thanks for stopping by!